We take a trip through 125 years of history, reflecting on moments and memories. Harker students, faculty, alumni and parents attended the various events and festivities that were organized during Harker’s 125th Weekend on Oct. 6 to 7 and the week before. All four grade levels in the high school participated in the homecoming rally on Oct. 5 to compete for spirit points on Davis Field. With a shouting contest, preliminary rounds of tug of war, skits and the homecoming court relay race, the event was full of spirit competitions. During the game later that day, the football team defeated Elsie Allen High School 56-0. 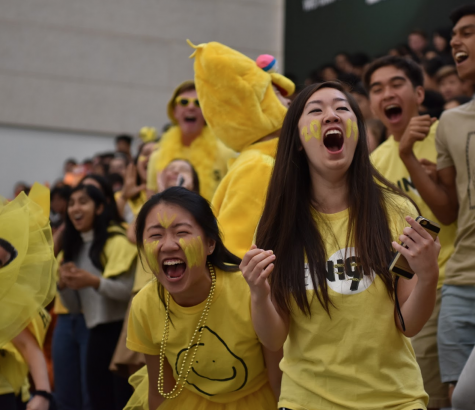 At halftime, the cheer team and varsity dance team performed, the seniors beat the juniors in tug-of-war, Dr. Teja Patil (‘02) received an alumni reward and seniors Kelsey Wu and Neil Ramaswamy were declared royalty in the homecoming court. Seniors Kelsey Wu and Shania Wang cheer during the student-teacher dodgeball game. This game took place after the spirit parade on Oct. 3. The Alumni Reunion occurred after the memorial for Diana Nichols on Oct. 6, the next day. 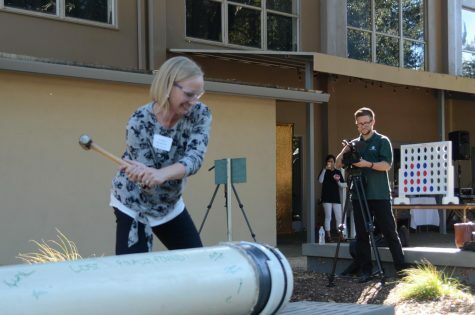 A time capsule buried in 1993 was opened during the event, revealing photos and notes from past students to their future selves. The homecoming dance, which included snacks and a photo booth with props for attendees, took place later that evening. 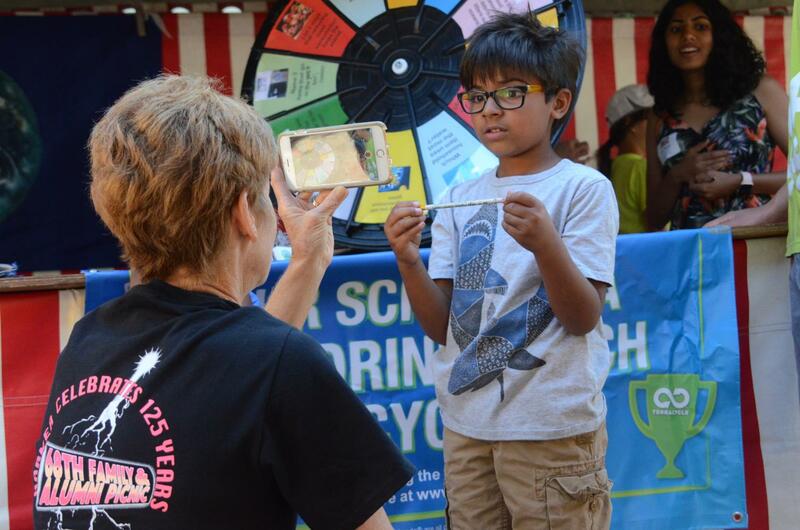 The 68th annual Family and Alumni Picnic, which was hosted at the middle school on Oct. 7, featured students from all three campuses in the performances and entertained guests with rows of booths with games and prizes. Brothers Shray Alag (10) and Ayush Alag (12) dance side by side during Kinetic Crew’s performance. Their dance came after the middle school concert choir. Former dorm mother Cindy Ellis reads stories to young boarders in the 1970s. Cindy Ellis, a former boarding parent and head of the middle school and a current community liaison, retold the stories from an evening of friendship and comfort, her hand brushing over photographs from the boarding program period of Harker. Nostalgic words and simple photographs could hardly communicate her fond memories at Harker. The history of Harker began in 1893, when Frank Cramer established Manzanita Hall, a boys’ college preparatory school, which is the namesake for the current Manzanita Hall at the upper school campus. After the school ended its college preparatory program, the Manzanita Hall was renamed the Palo Alto Military Academy (PAMA), which provided boarding for boys in first through ninth grade. 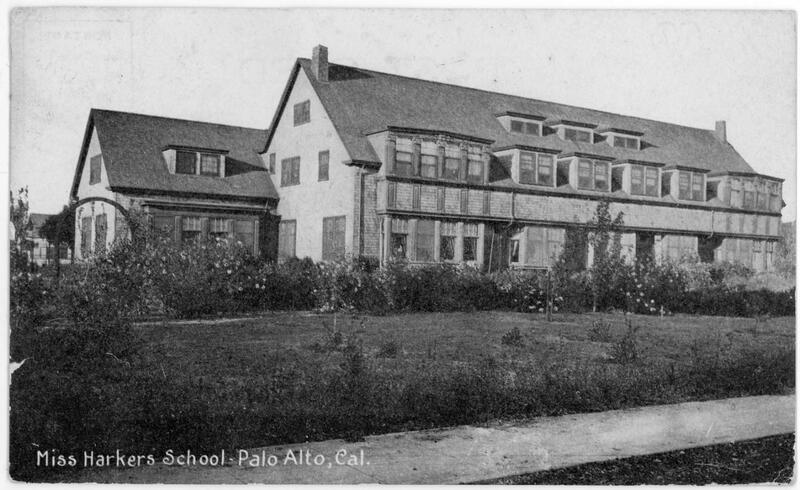 In 1902, Catherine Harker founded Miss Harker’s School for Girls, based in Palo Alto, around the same time Manzanita Hall was first created. 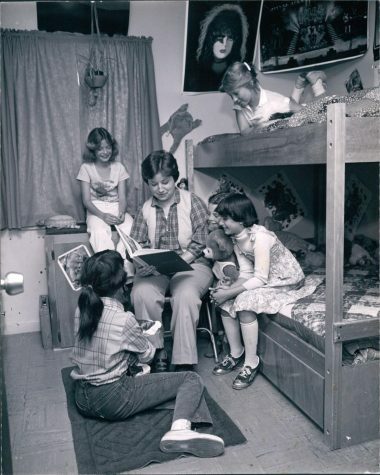 Although initially created to educate only girls, the school started to welcome boys in 1955 and changed its name to Harker Day School, eventually merging with PAMA in 1972 to become Harker Academy. 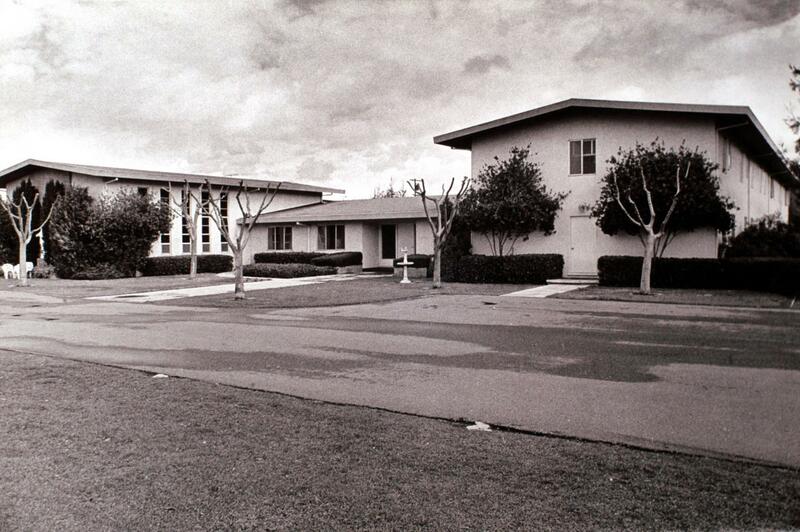 In 1973, Harker ended the military program and nearly twenty years later, was renamed The Harker School in 1992. Several years passed before the Harker School opened a high school branch, welcoming the first class of high school students in 1998 and closing the boarding program in 2002. 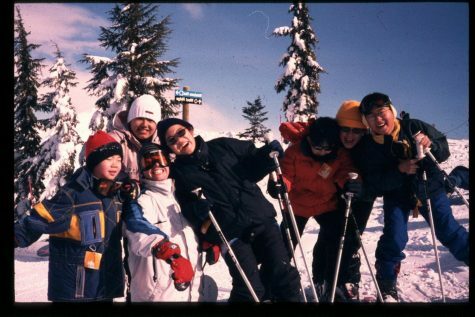 However, to this day, Ellis still cherishes the weekend activities and holiday festivities from the boarding program: cutting down Christmas trees to decorate the dorms; the head of school Howard Nichols’ reading of “The Night Before Christmas”; and the weekend excursions to ice skating rinks or amusement parks. Harker Day School and PAMA merged in 1972, moving to the Saratoga campus. Ellis also reminisces over early memories at the Family and Alumni Picnic, which was first held at the Palo Alto Military Academy in 1950 and became an annual tradition ever since, even after the merging with the Harker Day School. She describes the evolution of the games and events at the picnic, and how despite becoming more “sophisticated,” its environment remained consistent over the years. The fall festivities, such as the Picnic and Homecoming, connect students, family members and alumni from all different campuses and graduating classes through these traditional school-wide events. Students pose for a photo at a ski excursion. Students from the boarding program frequently travel for fun activities such as bowling or ice skating on weekends. As a growing number of high school students occupied more campus space in the upper school, the lower school was moved to the Bucknall campus, and the middle school program was relocated from Dobbins Hall to the newly built Shah hall and finally to the Blackford campus. The founding principles of academic excellence, love of learning, accepting challenges and self and mutual respect were the building blocks of Nichols’ vision, which carried over to the high school. 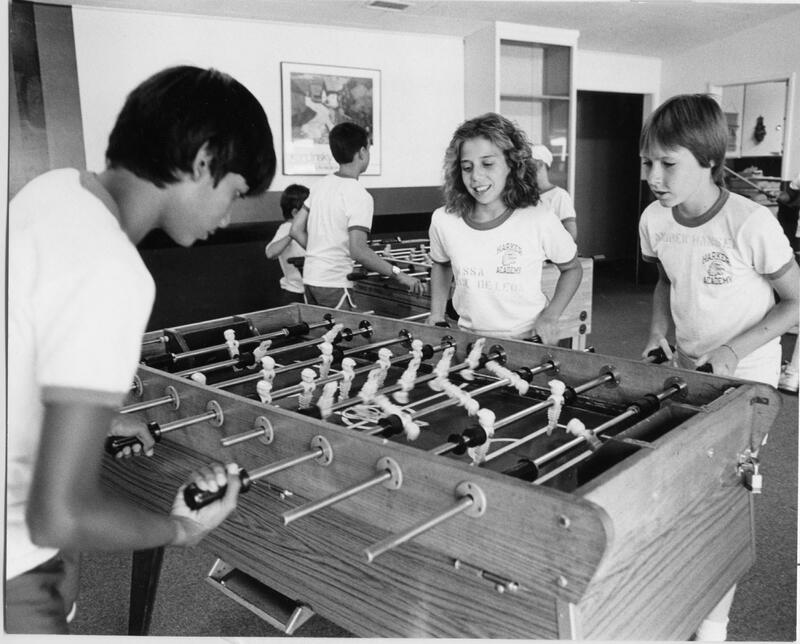 Boarders in 1989 play a game of fooseball. Fooseball tables and other games were available to students in the dorm common room. What started with a few fundamental courses evolved into a menu of class selection to suit all students. For example, the history department started with a two-year requirement, changed soon into a three-year requirement of World 1, World 2, and US History and later increased the course list to include various levels of AP and honors classes and electives. The accommodation of students is a key element of the Harker philosophies, and this value is seen not only in the present but also in past years of the school. Two boarders converse in their dorm in the late 1970s. 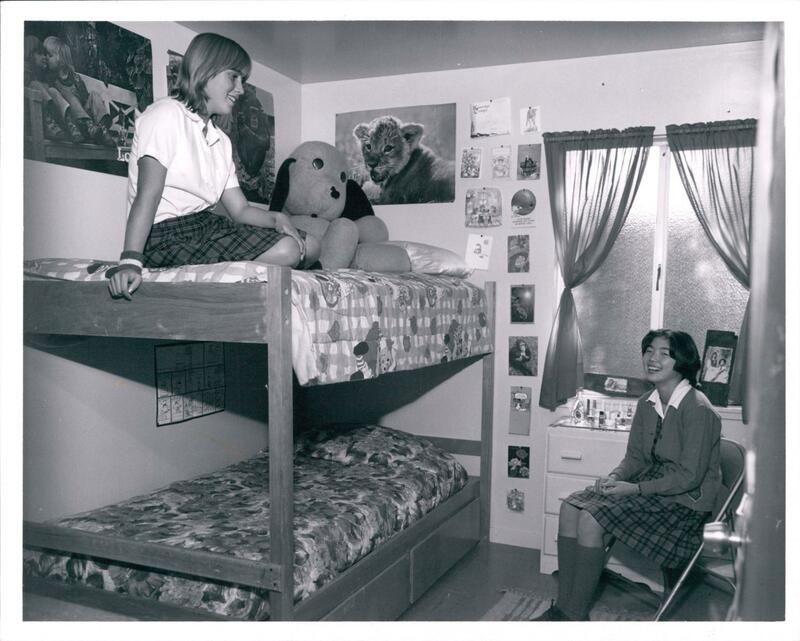 Female dorms rooms were located upstairs Manzanita hall. In preparation for the homecoming game on Oct. 5, all grades participated in several spirit activities in the weeks leading up to it, including the eagle painting contest, skits, tug of war, lunchtime competitions and a homecoming rally. While the freshmen and seniors had the theme of west coast, sophomores and juniors bore pride for east coast. Specifically, freshmen had Hollywood, sophomores had big city, juniors had Ivy Leagues and seniors were had. Students and teachers face off at the first dodgeball game of the year. 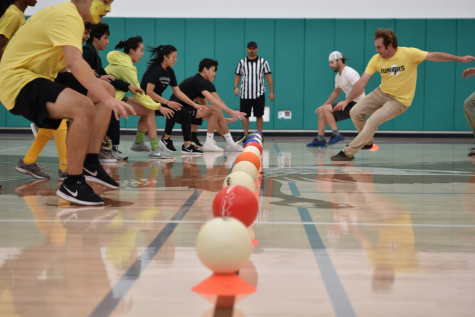 The spirit parade and dodgeball game took place on Oct. 3. Sophomore spirit coordinator Arjun Virmani described the effect of spirit on high school life. “We had a lunch activity going on in the quad, so normally I would see people in the library or doing their homework on the benches, and it just make the culture more light hearted and more fun and relaxed,” Arjun said. 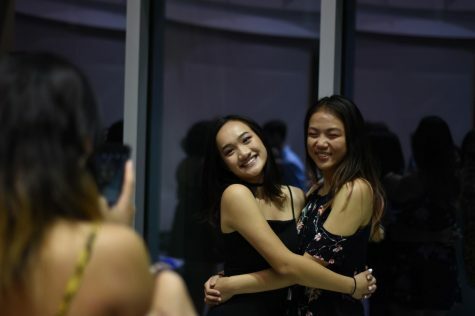 The senior student council hosted the annual upper school homecoming dance in the Nichols atrium on Oct. 6, inviting upper school students and guests. Harker kitchen staff catered the event and the hired DJ provided music, lights and a photo booth. Student council replaced the previous system of ticket sales with Harker Pay, allowing students to directly purchase tickets with their devices through the online pay system. Juniors Katelyn Chen and Ellen Guo pose for a photo during the homecoming dance. Harker kitchen staff catered the vent and the hired DJ provided music, and student council organized the dance and ticket sales. “This year, we changed the sign in system. In the past we relied on prints out all the people who bought tickets. This year, we contacted Ms Prutton, and she sent the master list of every upper school student. Since we used Harker Pay, we have electronic records of who bought how many tickets and what type of ticket. We logged [the information] and organized them into spreadsheets based on grade level,” senior class president Kelsey Wu said. 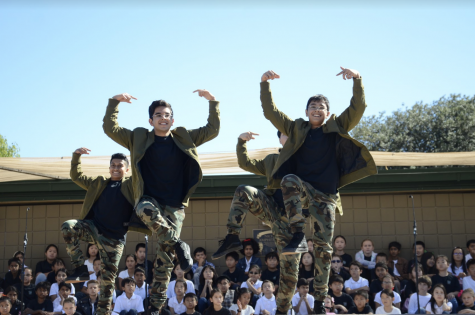 The 68th annual Family and Alumni Picnic, which was held at the middle school on Oct. 7, featured performances by students from all campuses as well as games and arcade booths for entertainment. While some were a part of the dance and singing groups that performed for guests, many other high-schoolers were also volunteers at the different stations: members of the robotics club helped out with the laser tag, and students in art classes managed the face painting. Upper school Spanish teacher Diana Moss takes a video of a young visitor at the picnic. The picnic attracted a wide variety of members of the Harker community, from lower school students to alumni. The Harker School hosted its Alumni Reunion in the afternoon of Oct. 6, inviting alumni to return to the high school to meet with past teachers and administrative, receive a tour of the new campus, and speak with past classmates. During the reunion, members of the middle school graduating class of ‘93 also opened a time capsule which held individual photos, notes, and other miscellaneous items, and the high school graduating class of ‘08 read letters that had been addressed to them from their peers ten years ago. Filled with smiles, laughs, and occasional sighs of jealousy upon seeing the new athletics and performing arts buildings, the Alumni Reunion allowed old Harker students to reconnect with friends and reminisce together. Middle school teacher Kate Morgensen (’93) opens a time capsule at the alumni reunion. The reunion took place on Oct. 7. Additional reporting by Nerine Uyanik.